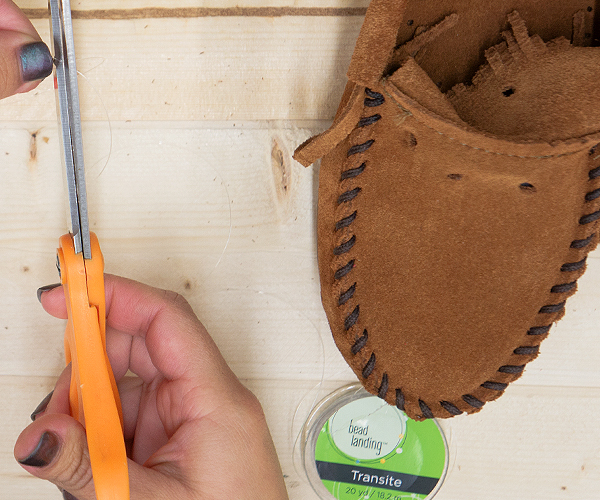 Step 1: Unlace your moccasins. Step 2: Cut a 6 inch length of string. Step 3: Use a bead as a stopper. Tie the stopper bead twice at the end of the string. Begin adding the beads to the string. Step 4: Add Aleene's Tacky Glue around the toe in a thin line. Step 5: Use the end of the paint brush to spread the glue. Step 6: Add your string of beads to the toe and press down. Make sure they are tightly pressed together. Then repeat steps 2 through 6. Step 7: Cut off the leftover string. Step 8: Let your project dry for about an hour. 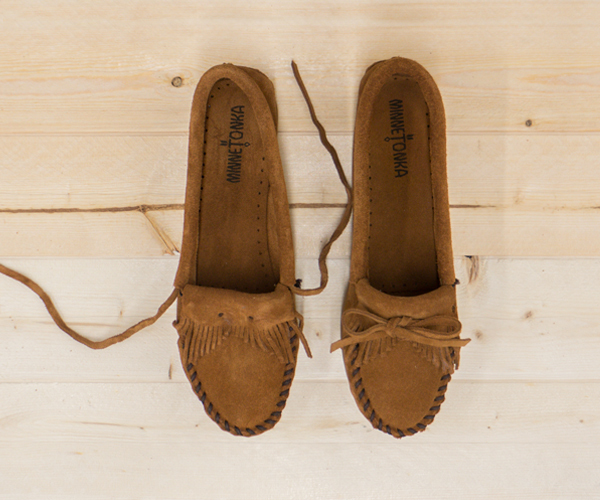 Your Minnetonkas are complete. Now you're ready to take on fall with a bolder pair of moccasins. Lets us know how your beaded moccasins come out. Good luck!